Easton, PA -- Famous Smoke Shop is a leading online distributor of discounted premium cigars. The company specializes in offering the web’s widest selection of cigars at the lowest prices. Famous has just released a new cigar line under the esteemed Plasencia cigar company. Under the control of master blender and cigar connoisseur Nestor Plasencia, this incredible company is an industry leader in growing the highest quality and most widely used tobaccos in the world. The new release is the highly anticipated Carnage Cigar, and they are exclusively available at Famous Smoke Shop. The first shipment will be arriving at the company’s warehouse very soon, preordering is currently available on their website. The company has expressed that the new brand will be available in limited quantities, but is not a one-time release and will be a consistent offering for the foreseeable future. The Carnage Cigar is the first release under the new brand’s umbrella, with a new blend designed to provide sophisticated and complex flavors to satisfy every cigar smoker’s taste buds. This blend will be made in small batches and production on the brand will be limited. 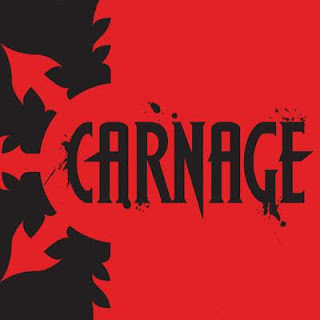 Carnage cigars utilize a blend consisting of a complex mixture of Nicaraguan Habano Seco, Viso, and Ligero filler tobaccos, a Honduran Connecticut Talanga binder, and an incredibly flavorful Habano wrapper. The result is a medium strength cigar with complex flavors, with a rich and slightly spicy flavor to round out a customer’s smoke. Already hailed as a home run under the Carnage name, it seems as if this cigar will soon take the industry by storm. Carnage cigars are available in four sizes – a 7 x 50 Churchill, a 6 x 60 Magnum, and a 6 x 52 Toro, and a 5 x 54 Robusto. With Famous’ full box discount pricing, customers can enjoy this new offering with individual retail prices which range from $3.46 to $4.62 per cigar. People interested in learning more about Carnage cigars or Famous Smoke Shop should visit Famous-Smoke.com or call 800-564-2486.